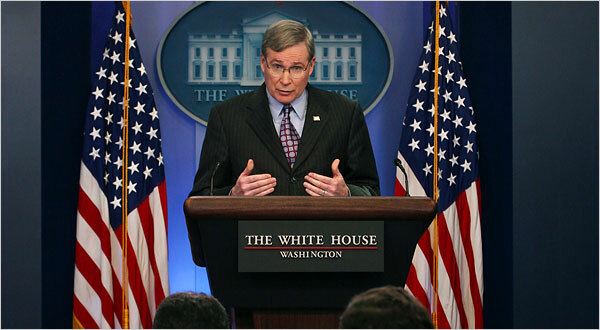 Stephen J. Hadley, the national security adviser, discussed Iran’s nuclear program at the White House. WASHINGTON, Dec. 3 — A new assessment by American intelligence agencies released Monday concludes that Iran halted its nuclear weapons program in 2003 and that the program remains frozen, contradicting a judgment two years ago that Tehran was working relentlessly toward building a nuclear bomb. CARACAS, Venezuela, Nov. 29 — Three days before a referendum that would vastly expand the powers of President Hugo Chavez, this city’s streets were packed with tens of thousands of opponents to the change on Thursday, a sign that Venezuelans may be balking at placing so much authority in the hands of one man. Even some of Mr. Chavez’s most fervent supporters are beginning to show signs of hesitation at supporting the constitutional changes he is promoting, including ending term limits for the president and greatly centralizing his authority. 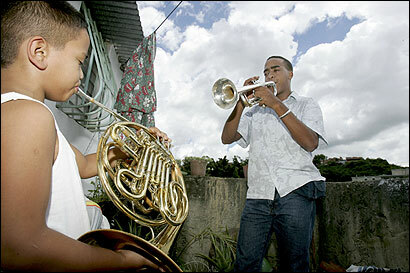 CARACAS — By the time Lennar Acosta was introduced to classical music at age 15, he had been arrested nine times for armed robbery and drug offenses. A year into the youth’s sentence at a state home, a music teacher came to offer the delinquent, abused, and abandoned children there free instruments, instruction, and an opening to a new life. CARACAS — At a sleek, airy factory built by Venezuela’s populist government, 80 workers churn out shoes — basic and black and all of them to be shipped to Fidel Castro’s Cuba, a leading economic partner. With no manager or owner, the workers have an equal stake in a business celebrated as a shining alternative to the “savage capitalism” President Hugo Chávez constantly disparages. “Here there are no chiefs, no managers,” said Gustavo Zuniga, one of the workers, explaining that a workers’ assembly makes the big decisions. There is also no need to compete — production is wholly sustained by government orders. Shame on you Sean. 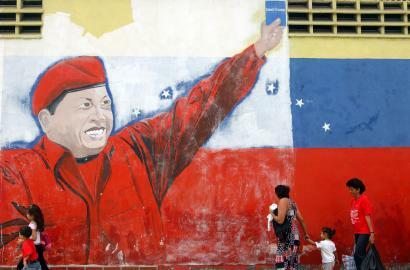 I wonder what is going to be your answer when the world fianlly meet the chavez that Venezuelan got to know. No the “populist” president that is gifting money everywhere, maybe for a movie, Sean? What you have in common with him … Bush? woao I though you were more intelligent, shame on you. LA GRITA, Venezuela (AP) — President Hugo Chavez reveled in his role as host to Hollywood star Sean Penn as they traveled together through the Venezuelan countryside in an open jeep, stopping to greet adoring crowds. The Oscar-winning actor said little Friday, beyond saying he was working as a freelance journalist, following up on reporting stints in Iraq and Iran. In any case, his star power was clearly eclipsed by the populist president, who took the wheel, honking to the crowds, signing autographs and gathering letters from people asking for help. This is funny. This is supposed to be an account of the success of Cisneros in today’s Venezuela. To me this is nothing but a rather formal confession of the deal made between Chavez, Cisneros and Carter. It is clear what Chavez and Cisneros gained in the deal, what is not clear at all is what was there for Carter. History will reveal the truth. The “Nobel” ex president is going to wish for that day never happened. 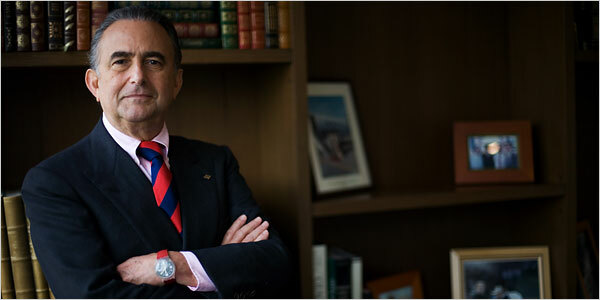 Gustavo A. Cisneros once was a leader of Venezuela’s opposition. CARACAS, Venezuela, July 4 — Three years ago, the media mogul Gustavo A. Cisneros was a leader of Venezuela’s opposition and his television network, Venevisión, regularly lambasted President Hugo Chávez. So antagonistic were relations that Mr. Chávez accused him of conspiring to topple him. Government agents raided Mr. Cisneros’s ranch, fishing camp and offices. The tensions were resolved only after former President Jimmy Carter, a longtime friend of Mr. Cisneros, brokered a meeting between the men in 2004 before a referendum to determine whether President Chávez should be recalled from office.